The Beatles Song of the Day is Octopus’s Garden. Octopus’s Garden was written by Ringo Starr with a little uncredited help from George Harrison and appears on side 1 of Abbey Road. Ringo was inspired to write this song after a vacation to Sardinia where he went out on a boat trip and got to talk to the captain about octopus [after he refused to eat it} George was very complimentary about Ringo and this song- calling it a lovely song. 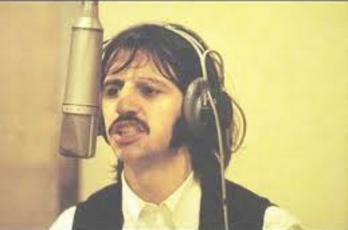 It was the second – and final song Ringo wrote as a Beatle. Ringo Starr: drums, percussion, effects: George Harrison: backing vocals, lead guitar, synthesizer: Paul McCartney: backing vocals, bass, piano: John Lennon: guitar. Produced by George Martin. rating Octopus’s Garden *** stars out of 5 stars. Octopus’s Garden was never released as a single. recorded on April 26, 29 and July 17-18, 1968.
critic Bill Wyman ranks it #138 out of 213 Beatles songs, The Beatles Channel Listeners Poll #81 and Jim Beviglia #73. Spignesi and Lewis and Rolling Stone do not put it in their Top 100. While it’s certainly not the best Beatles song, I’ve always liked this tune. I think it also speaks for itself that George provided a little help to his friend without taking official credit. From what I understand, the same thing happened with “It Don’t Come Easy,” arguably Ringo’s best solo song. Yes I think George was a big help with Ringo in writing the songs and I totally agree It Don’t Come Easy my favorite Ringo solo song. This song will stick in your head…great job by Ringo and really good guitar by George.